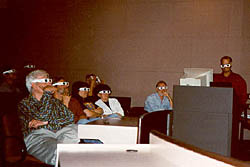 This is the digital lecture given on November 4, 1999, in the ASU Computing Commons Auditorium. The lecture was given by C.J. Kazilek and Gene Valentine.